( 4 Fin Set ) Futures Compatible: After experimenting with quads for 7 years Tyler found that this design works best. These fins have a loose fluid drive that allows for effortless speed. The front fins are single foil and back fins are 80 / 20 foil. 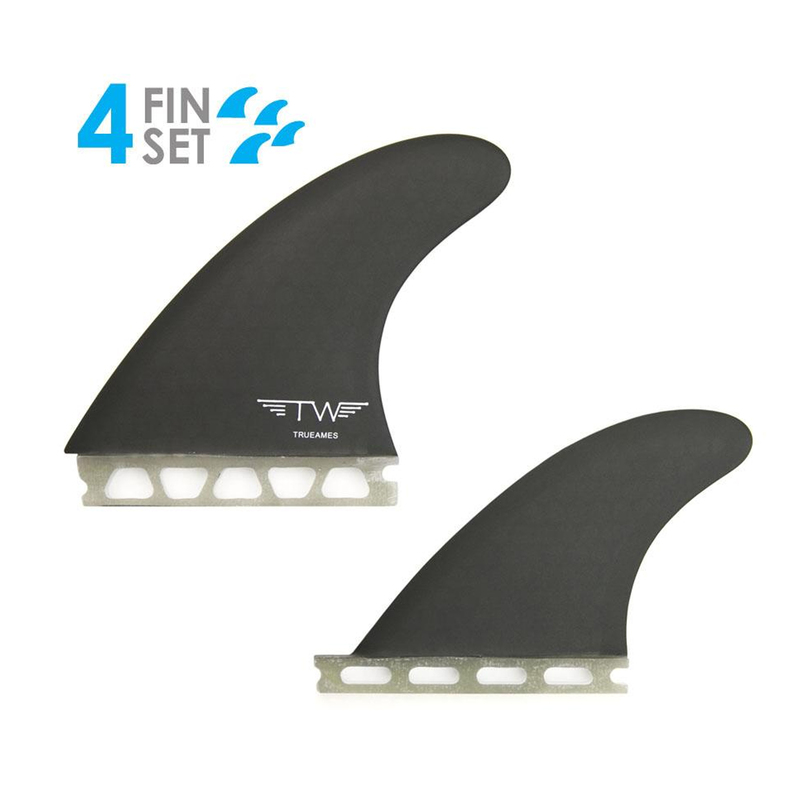 ( 4 Fin Set ) Futures Compatible: After experimenting with quads for 7 years Tyler found that this design works best. 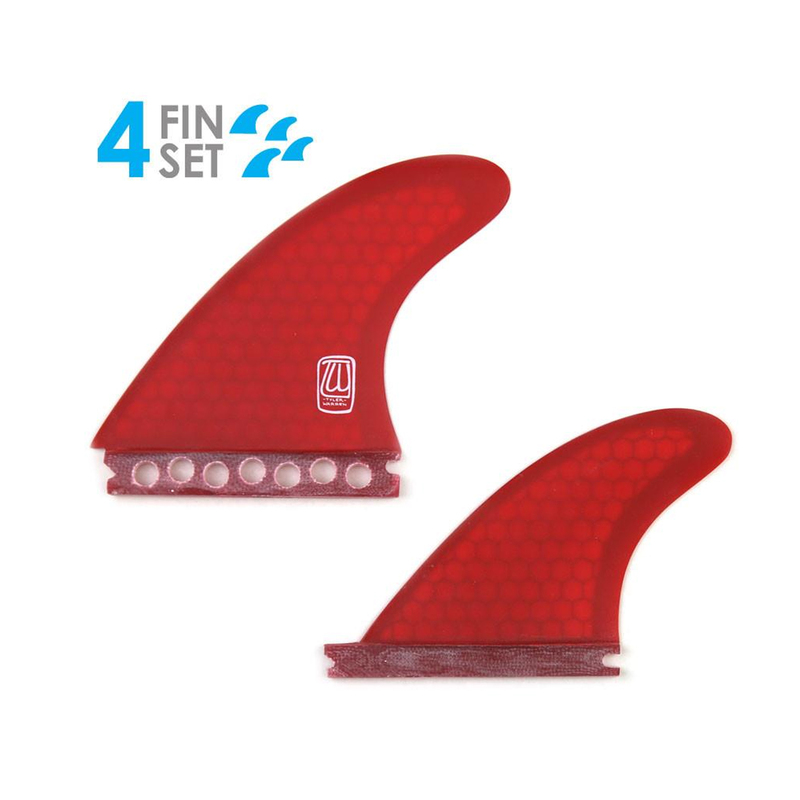 These fins have a loose fluid drive that allows for effortless speed. The front fins are single foil and back fins are 80 / 20 foil. Providing you with excellence in every turn.